Rich’s unique account of survival comes from being tested beyond his physical, mental, emotional and spiritual boundaries throughout his life. Clawing through the deep, dark trenches of his childhood, he discovered that action, determination and focus could repave the road of his life’s journey. Through sharing his personal experiences of confronting unique challenges and maneuvering around life’s adversities, Rich offers authentic, timeless story-filled content that resonates with today’s professionals. As a business dynamics coach, he takes individuals on an engaging journey that exposes their potential through creativity, independence and spontaneity. He believes that we have to breach the walls of self-awareness in order to uncover the true potential of individual success. When companies and organizations seek an innovative direction that will boost individual performance, they reach for the fresh resources and proven skills that Rich brings from the trials of experience. As a business structuring expert, Rich is a uniquely qualified, motivating professional who is not bound by convention. 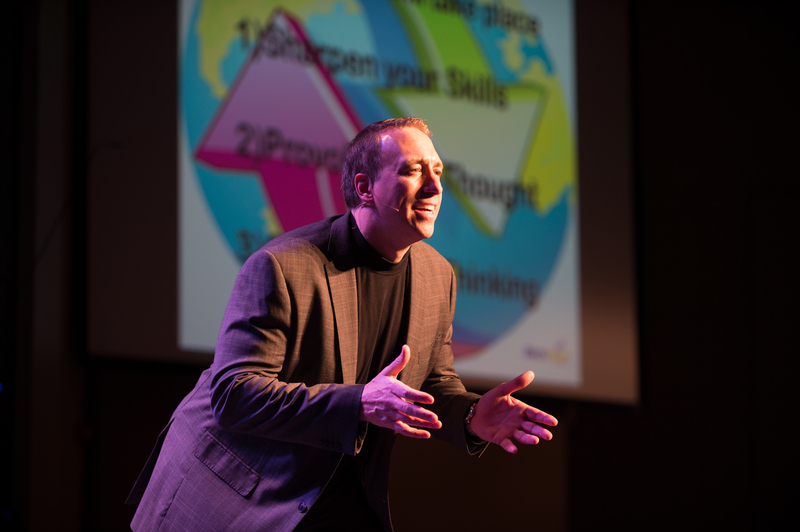 As a prominent entrepreneur, business development coach, international consultant, and speaker, Rich provides the essential tools that allow his listeners to thrive beyond their own imagined potential. With over 35 years as a business executive and entrepreneur, in both corporate America and international markets, Rich develops and integrates operating practices for businesses of all sizes and transforms the ordinary into the extraordinary. Most recognized for being a keynote speaker in the manufacturing, distribution, finance, real estate and military industries, Rich boasts the reputation of initiating lasting change with positive results. He offers an interactive experience that is entertaining and energizing, and ultimately challenges minds and increases personal and business confidence. Rich takes individuals on a unique journey to show them how to reach their potential and increase their achievements. This is where we uncover the real definition of F.O.C.U.S (First Opportunity to Create Unlimited Success) when dealing with accountability, relationships, performance, leadership and adversity – the true drivers behind today’s competitive and diverse environments. To learn more about how Rich can transform your business or organization, contact him via the web form or book an appointment right here!